Innova Crysta is much awaited MPV (multi purpose vehicle) from Toyota, made its first appearance in India at 2016 Auto Expo which happened in Delhi. Visitors of the expo raised their eyebrows just not because of its amazing new features like attractive front grille, bumper, new head and fog lamps but also due to safety features which the car is offering. This second generation Innova Crysta has been given a 4-star rating out of five in crash test which is conducted by ASEAN-NCAP. In an AOP test (Adult Occupant Protection) conduct by the ASEAN-NCAP, basic entry level front dual air bag Innova crysta itself got 14.10 points out of 16, whereas High end model with side air bag got 5 stars out of 5. In COP test (Child Occupant Protection) also both entry and top end model of Innova crysta got 76% which remarkable aspect in this segment. When compared to the previous Innova model all new Innova Crysta is a little bit larger in its size, as Innova Crysta is 180mm longer, 45mm taller and 60mm wider compared with the former. Toyota Crysta rolls out with two engine options, namely 2.0 liter petrol and 2.4 liter diesel engine with a maximum torque of 183 Nm and 324 Nm at 3400 rpm respectively. Innova Crysta gives you the option of a 6 speed manual and automatic transmission. Innova Crysta employs a GD engine to improve the fuel economy, which is expected to give a city mileage of 10 Kmpl. 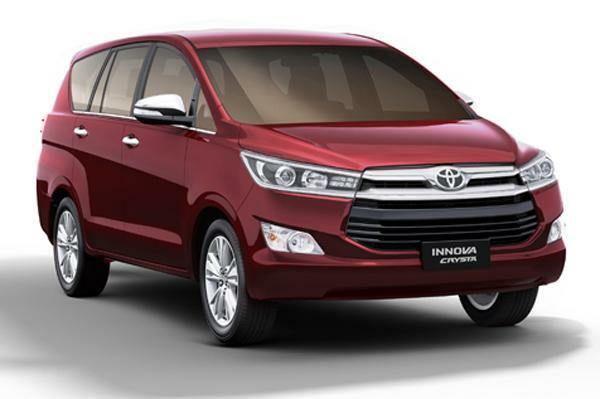 Currently, the all new Toyota Innova Crysta is launched in Indonesia market with same features within the price range of INR 13.59 lakhs to 20.43 lakhs and the car is expected to launch in India in the middle of 2016. 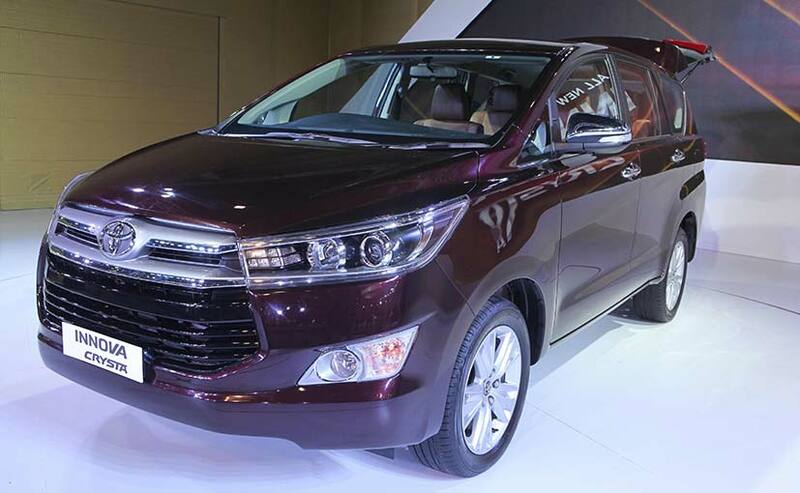 The all new Toyota Innova will be made available in six color variants. The all new Innova Crysta is equipped with 7-inch entertainment system that comes with voice command, adjustable steering, anti-theft system, rear parking sensor, dual-front air bag and driver knee airbag, anti-lock braking system with electronic brake force distribution to give safe and luxurious ride on the Indian roads.